Tollywood’s Power Star Pawan Kalyan and Kollywood’s Thala Ajith are much alike in the way they conduct themselves in their public as well as personal lives. Both the stars are known for their reclusive and generous nature and there are also several mutual fans for both these stars. 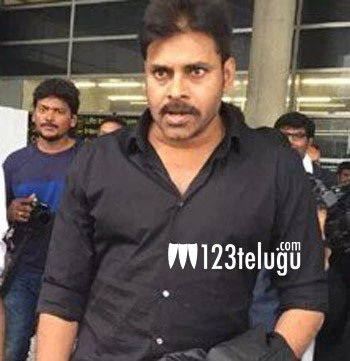 Pawan, who graced the inaugural ceremony of the United Kingdom Telugu Association (UKTA)’s Jayathe Kuchipudi Festival in London as a chief guest, faced a rather amusing question from a fan. A fan asked Pawan if he would act in a multistarrer along with Thala Ajith. In his response to this surprising query, Pawan said that no filmmaker has approached him with such an offer and that he is ready to share the screen space with Ajith in the future.